An act of God doesn’t stop the tech world partying – for long. When you’ve spent two years putting together a three-day, high profile tech and innovation event – dubbed the SXSW of the South Pacific – the wake of a cyclone does put a dampener on things. But even though day two of Myriad at Brisbane Powerhouse came to an abrupt halt at midday, with Queensland Police recommending a shutdown, the organisers did what any entrepreneur would do when faced with a roadblock: they picked themselves up, dried themselves off and got on with it. Day three, and Myriad was back. 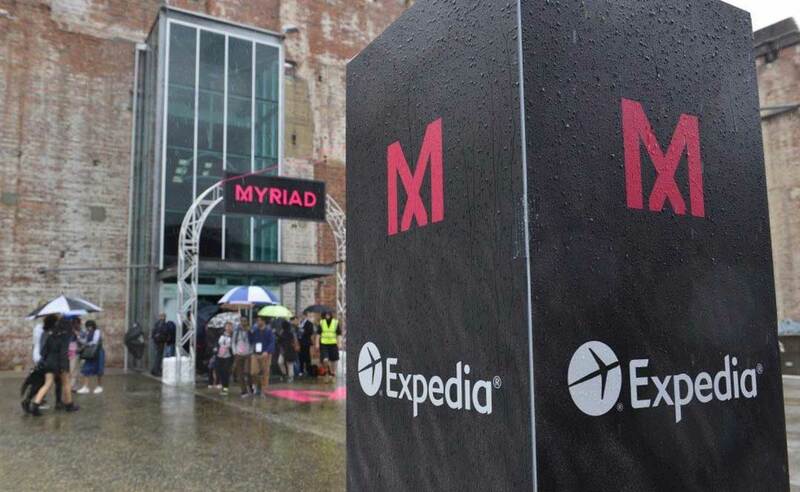 With Expedia-sponsored WiFi powered by PopUp WiFi, it was the most technically-complex event we’ve done so far: 2,000 tech-mad attendees and a whole lot of concrete in a pre-war industrial power station – turned iconic arts centre – to contend with. “At an event like this one, filled with tech-smart people, we knew we needed custom WiFi that was going to be fast and work on every level,” said Myriad event director Tim Bright. Cary White was an exhibitor at Myriad. He’s the founder of Energy Guru, which helps businesses to measure, monitor and manager their energy consumption for maximum efficiency. He needed the WiFi to be lightning fast. The aim of Myriad’s founders, Murray and Martin Talvari, was to create a collision with the best start-ups, businesses and innovators in Australia and the Asia Pacific. Their tagline: “connecting the dot connectors”. PopUp WiFi’s role was to keep the connectors connected. With more than 600 WiFi users at the event, we’re pretty chuffed to say we did just that. WiFi: 600 Cyclone Debbie: 0.